The use of credit card loans as investment capital, for those with the credit rating to secure a loan, is an inherently dicey endeavor. National average credit card debt is high, market fluctuations are frequent, and price projections uncertain. The global financial crisis has created an unfriendly environment to risk-taking. How, then, should you treat the enticing prospect of using someone else’s money (in this case, the credit card company’s) to go to work for you? In a nutshell: conservatively. The rewards for success in the market seem, and are, appealing, but without proper preparation the consequences of even a minor setback could potentially destroy a small investor’s fiscal wellbeing. Before you take steps toward securing a credit card loan for use in investing, be sure you consult a financial professional and get a realistic picture of your financial security. Without liquidity any ill luck in credit card loan investment can lead to financial disaster. The fiscal means to stay atop one’s payments is an absolute minimum requirement for dabbling in the market with credit card loan “revenue,” which leads neatly into another common mistake in investor thought: until your loans have produced fiscal gain, they are a liability rather than an asset. Coming out on top means, in this instance, earning not just enough to cover the loan’s principal cost, but also enough to compensate for interest and servicing fees. For a prospective investor with liquid capital at their disposal, investing on credit card loans is a pointlessly reckless plan of action. A desire to expand one’s investment capital is insufficient reason to take on the risks attendant to credit card loan investing. Patience, not quick gains, is the key to building a strong, secure portfolio with secular potential. 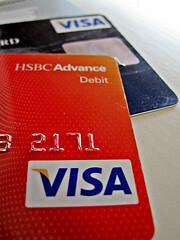 Interest rates on credit card loans are notoriously high. The speed with which a situation can deteriorate corresponds directly to the interest rate attached, and most fiscal experts agree that no serious consideration should be given to the idea of investing with a credit card loan without a manageable interest rate. Ideally, a 0% rate should serve as a foundation for even limited engagement with the idea. Anything else, even if otherwise reasonable, provides too much leeway for out-of-control debt. Fiscal journalist Alan Klayman, in his review of the issue of credit cards as a means to increase one’s investment capital, states that not only is credit card investment an inherently risky undertaking but many trading firms refuse to allow it. To encounter a strict prohibition against risk in a risk-based institution like stock market investing should be taken as a fairly strong endorsement as to the essential chanciness of the business. Klayman also puts forward, though, the caveat that an experienced investor with a financial safety net could potentially turn credit card loan investing into a profitable undertaking. While the challenges stacked against any of credit card loan investment’s likely devotees are significant, the endeavor is not without the possibility of success. The point that security and common sense must be employed in pursuing credit card loan investment cannot be stressed enough. Don’t let false logic or pie-in-the-sky dreams goad you into making imprudent financial decisions. Be mindful of the gains associated with bringing credit card debt into the investing realm, but be more mindful of the risks.